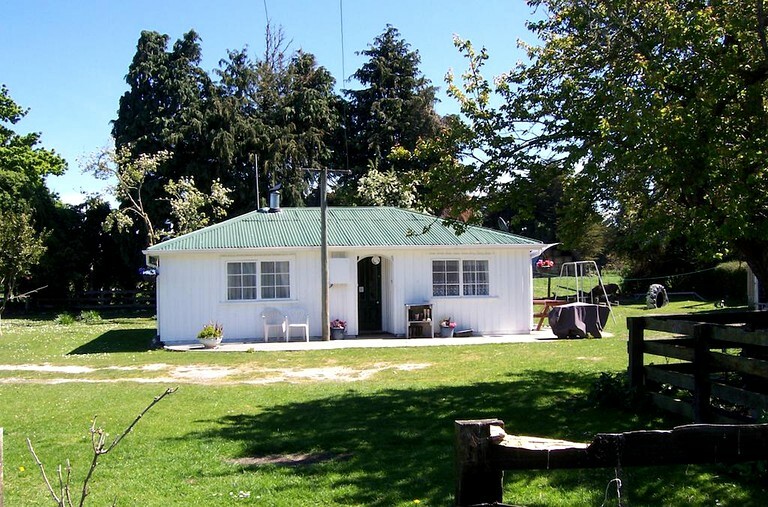 This charming family cottage is located in the open countryside on the edge of the town of Kaikoura in New Zealand and accommodates up to four adults and children. 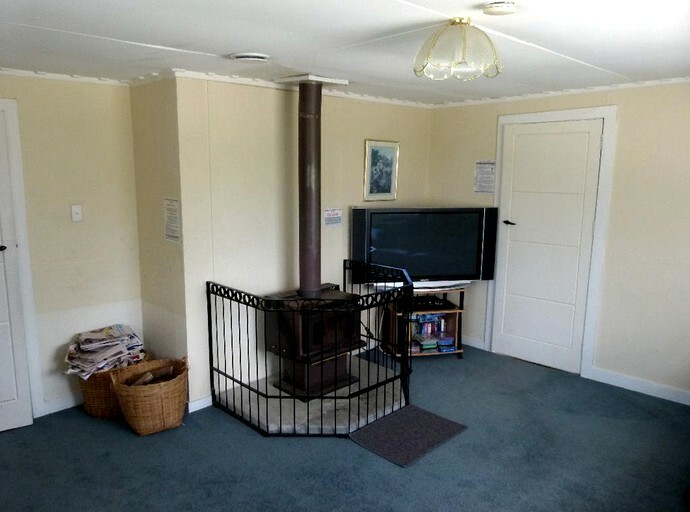 There are two bedrooms and a bathroom. 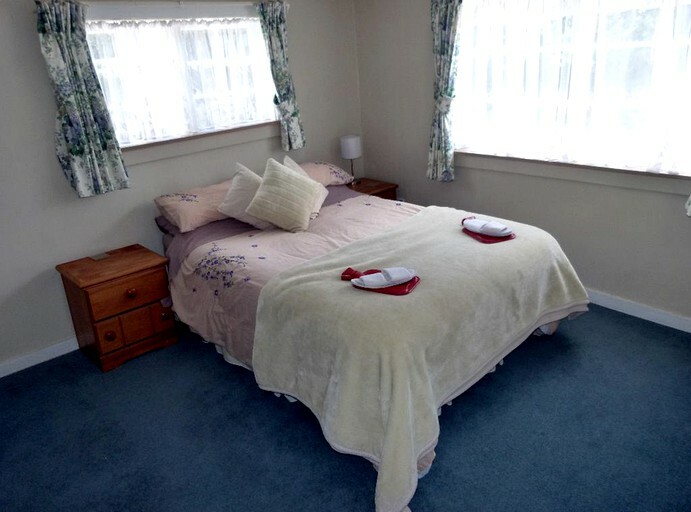 In the first bedroom, guests will find a double bed with electric blankets, a single bed, and a travel cot. The second bedroom features a single bed as well as a bunk bed with a double bed on the bottom and a single bed on the top, ideal for children. In the bathroom, there is a shower and a basin, while the toilet is separate. Linens, towels, and toiletries are provided. A basic continental breakfast is included. Bathroom robes and slippers are provided in adult sizes and guests can purchase these from the host if they wish. 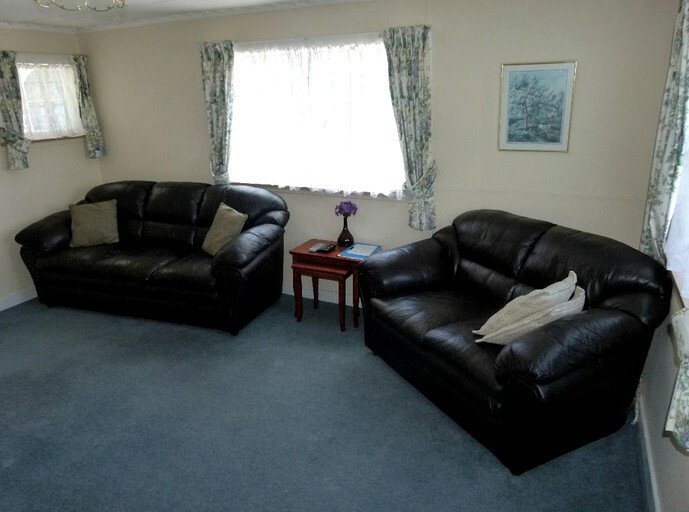 The cottage is ideal for families as there is no charge for bringing a baby and the host can provide a portable cot, a high chair, a changing unit, and a baby bath. Guests staying in this accommodation share certain outdoor facilities with guests staying in other accommodations on the property. 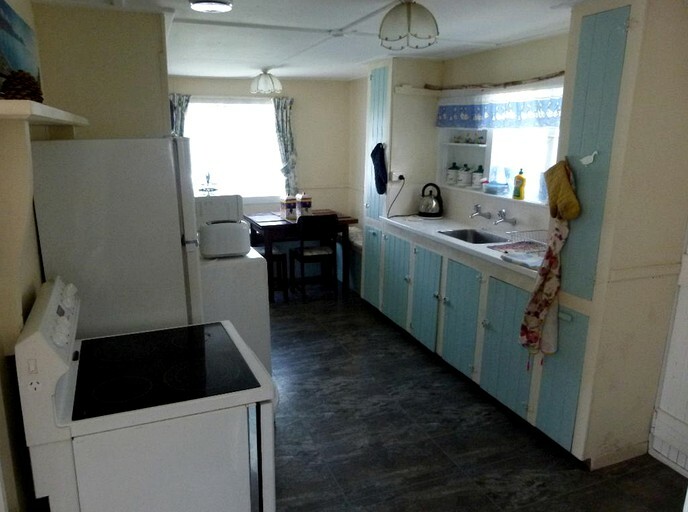 These include a fully-equipped outdoor barbecue shelter with a gas barbecue, a gas oven, a hob, a sink, crockery, cutlery, and outdoor tables and chairs. 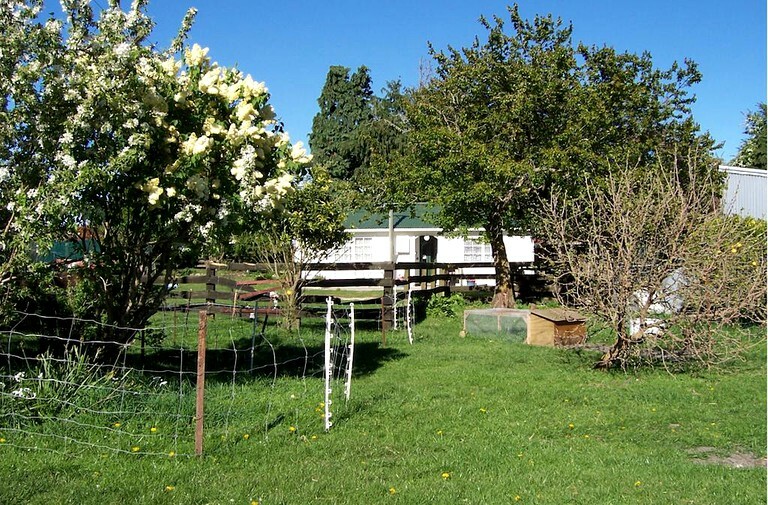 Glampers will have exclusive access to the host's private collection of farm animals including llamas, pigs, an alpaca, sheep, a pony, a donkey, a deer, and chickens. A continental breakfast is left in the fridge for guests to enjoy on the day of their arrival. Guests will find a selection of breakfast cereals, a loaf of bread, butter, milk, tea, coffee, sugar, homemade jam, and seasonal fruit and farm-fresh eggs when available. Glampers can book a llama trek from their accommodation or venture beyond the property to enjoy the amazing scenery of this spectacular location. The nearby Kaikoura Peninsula Walkway is a beautiful three-hour walk along this stunning coastline with unforgettable mountain views. The area is known for its mountain biking trails and the most popular of these are from Half Moon Bay to Okiwi Bay, The Kowhai River Trail, and The Mount Fyffe Track. Guests can enjoy an unforgettable experience swimming with New Zealand fur seals in the shallow bays of the beautiful Kaikoura Peninsula where no experience is necessary and all equipment is supplied. 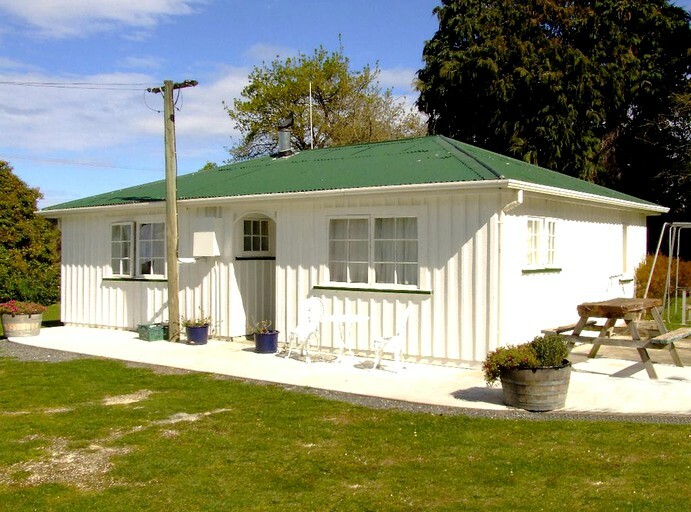 Glampers can also try swimming with dolphins in the bay and go whale watching. The Kaikoura coastline is the perfect place for diving, with Dive Kaikoura offering tuition and guided tours as well as equipment sales, rental, and servicing. Kaikoura Kayaks offer guided kayak tours for guests to catch a glimpse of fur seals, blue penguins, and dusky dolphins. Recycling bins are provided in support of Kaikoura's 100% recycling ambition. The host asks that guests recycle as much as possible, and help wash, separate and recycle all waste produced.